So recently I decided to give a shot to online playing again, I only maybe tried WOW for like two weeks around ten years ago and it was fine but it didn't really got my attention until maybe around 2015 when husband bought Final Fantasy 14 and a little bit after the Elder's Scrolls Online and also he got FF14 got for my birthday this year as he wanted the two of us to play together but my attention to these types of games was completely out of my focus. Since we live in a small apartment I probably set my attention watching him play, as the computer and the Playstation are in the living room. Out of nowhere, I just mentioned that I would like to play together and he got the card and got the game without thinking, at first I only played when he was near, but also with time I found myself immerse in the game atmosphere and I wanted to know more about the experience. Elder Scrolls Online was maybe the game that put some ideas on my persona about playing further these type of games, the game itself contained some of the essence of the Elder's Scrolls but it wasn't the same as many aspects diverted from the source; graphics was one of them and how the interaction with the NPC's was executed, but the biggest disappointment for me was nothing compared to the same immersion given on the stand-alone games, I was honestly bored and probably played for around 2 months before dropping the control and continued with something else. I know ESO has people who enjoy it, myself on certain extent included as not long ago I decided to give a small game play and see if there were any changes. During the last year another two games I had the chance to try were Fortnite and Player Unknown Battleground. Fortnite is quite interesting, it's a game that doesn't require too much memory and plays quite easily with almost every computer besides being multi platform, PUBG is not far behind only with better graphics and a more realistic scenario. Player vs. Player games seem to be on vogue lately, and it attracts millions of users per year and it generates a decent revenue but is not a genre for everyone, there is no chance to enjoy the enviroment if you get executed quickly and even if you survive the objectives of these types of games tend to be extremely limited and is usually oriented to what person or teams can win. As any other game to chose, the best way is to try them first and see which community you feel you fit the most. 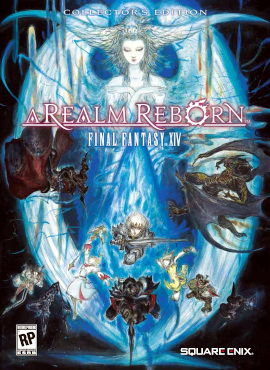 At the end six months later of continuously playing even if it has been longer but it wasn't until 2018 that I finally made my mind into what new community I want to be inmersed and I had enjoyed playing Final Fantasy a lot as it's perfect as a couple's activity. At first Final Fantasy can be extremely overwhelming, especially if you are joining late on the game's story development as myself. It's a world of is own with is own lore, writing system, races, technology, etc. It's almost even a vision to another universe in which you can explore based on the level you gain. It's interesting to see that almost every NPC has their own way to talk, the fauna and flora differs from every region and customary traditions; I am enchanted with the game as it offers what I am looking for but also it has helped to connect with a community that essentially role play with the characters they develop and they become one with their online personas.